Poncho: 41-51cm 2 balls, 56cm 3 balls, 61-66cm 4 balls. Hat: 1 ball. 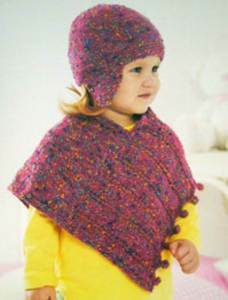 50g balls Sirdar Snuggly Tiny Tots DK.